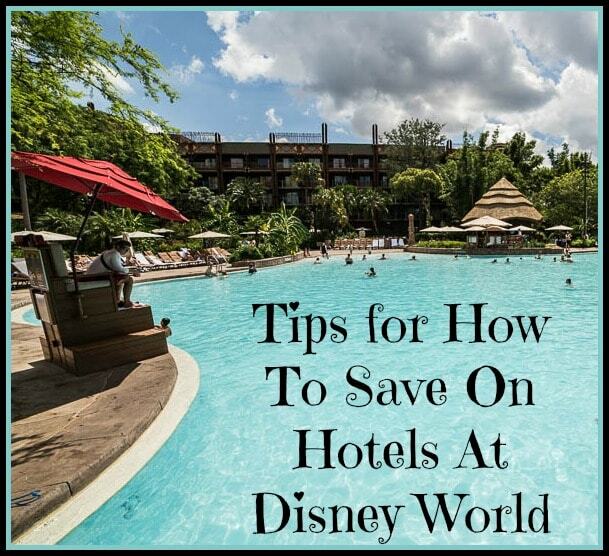 How To Save The Most on Hotels at Disney World! We recently shared some tips on how to choose between staying at a Disney Resort, verses staying off property, if you will be heading to Walt Disney World for vacation. Now we want to share some tips on how to narrow down your search for that specific hotel to stay at, and how to save as much as you can in that process. The Orlando area is full of tons of hotels. It is also quite large. If the majority of your vacation will be planned around Disney World, then you might want to be sure to stay in an area close by. That would include staying on property at Disney, in the nearby town of Kissimmee (if you are staying by the town of Celebration or Old Town, then you are likely within a 15 minute drive to the parks), Disney Springs area and the Bonnet Creek area. Here are some tips on how to get a great deal on hotels in these areas. Book during a promotional period. Be sure to check the Disney World Deals & Discounts page here for any current promotions they have running. It is also a good idea to create an account with your mailing address and email here too, and order the Planning DVD ahead of time too (it is free). Disney sometimes sends out special promo code savings via mailers or email, and these can be great ways to get a nice discount. It seems to be a bit of a secret to how to get on the lists for these special savings offers, but I have done both the things listed above and have received multiple offers in the past. Generally they have been 20% to 25% off hotel rates during a slower season, but we have used those offers to get some great deals on property! Get Away Today offers an extra $10 off with promo code THRIFTYNWMOM , on Disney Vacation Packages (plus they offer great rates, and top notch customer service). Check out the Undercover Tourists Discount Hotels section, where they sell last minuted deals for Disney Resorts that can help you save big! Book through a website that offers Disney Vacation Club timeshares for rent. SellMyTimeshareNow.com is a good example of a company who does this well. They offer Disney timeshare rentals through private owners who cannot use their points during a given year. Not only is this a great way to save money, but it also feels good knowing you’re helping a Disney fanatic just like you recoup some of their money if they can’t go on vacation. Save over the rates that Disney will offer for their resorts! Find dates that may not be available through Disney, or other online travel sites. Stay in bigger rooms – timeshares are resort condos, so they will offer more space than the regular hotel rooms (which my family loves)! The booking process may take a bit longer, as the owner will be managing that. These are timeshare units you are renting (on Disney properties), so they may not offer weekly cleaning service like hotel rooms do. They generally have a mid week cleaning and linen exchange for a stay over 3 days. You will find the Disney Resort you want to stay at on SellMyTimeshareNow.com. You connect with the owner and negotiate the price for your stay, through a form they provide. The owner then has to book the week you want to travel with their points, and then once that is done you will get confirmation for your stay. Since the owners have to book with their DVC points, it is not a confirmed deal until they are able to lock in the date you requested, so it is a little more of a process then just finding the spot you want online, and booking that instantly – but the savings can be big! Not only can it help you save quite a bit on a Disney stay, you may be able to lock in dates that are not available on the more standard travel sites. Since the owners have to book with their DVC points, it is not a confirmed deal until they are able to lock in the date you requested, so it is a little more of a process than just finding the spot you want online, and booking that instantly – but the savings can be big! Not only can it help you save as much as 60% off on a Disney stay, you may be able to lock in dates that are not available on the more standard travel sites. It works kind of like HomeAway and VRBO, in that you will be discussing directly with owner, but can use the site to connect with the owners. There are even some options where you can book instantly online. These are bookings backed by a reservation guarantee for certain timeshare rentals. When searching their inventory, look for the Reservation Guarantee banner(like the one shown above). Be sure to check out all of the cool Disney Vacation Club resorts here to find the one that’s perfect for you and your family! If you want to learn more about this option, we recommend calling one of the Disney Vacation Club Timeshare Specialists at SellMyTimeshareNow.com. They can help you with any questions you might have, or to help you book with one of their owners. Use sites like Priceline or Hotwire To Save BIG! This tip is a bit risky, and it is possible that you will not end up with a Disney Resort, but if you are up for the challenge, some folks have gotten super deals on Disney Resorts this way. To do this, you will go to either Priceline or Hotwire, and use their deal options (called “Hot Rate” on Hotwire, and “Express Deal” at Priceline). The companies usually offer great discounts on these rates, but they do not disclose the hotel until you have booked your non-refundable stay. This is where it gets tricky. There are things you can check (and we will share them below) to greatly increase the chances that you will be able to find a Disney Resort – but it is not a guarantee. Once you book your hotel, you have paid for it, so you will be stuck staying at that one whether it was a Disney resort or not. Look for Bed Choice Available on Priceline or Hotwire if you need to sleep more then 2 people. Search location (the Disney Resorts will be in the Walt Disney World – Bonnet Creek and Disney Springs areas. If you can find a listing in the WDW areas listed above, with an airport shuttle and no resort fee, chances are it could be a Disney Resort. But you will not know for sure until you actually book. Be sure to choose a hotel with a star level you want, and in the area you want, and that way even if you do not get a Disney hotel you will know it will be in the right area. Also, be sure to check the final prices. Priceline for example, adds ‘Mandatory Fees’ at the bottom of some of the totals (and these can add up), that are generally resort fees, so that is another way to see if there is a resort fee for the hotel or not. 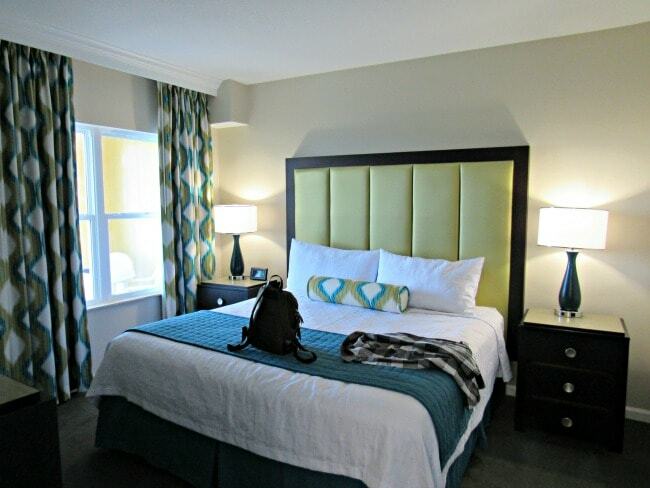 Our separate bedroom, in our very large condo, 10 minutes from the Disney parks! The Orlando area is packed with hotel and resort options, and there are way too many to review here. Our rule of thumb is to look for that great mix of a property that is 3 stars or higher, gets decent reviews, has amenities designed for families, and is affordable. There are some great high end resorts in this area (with water parks, and so much more). If you are looking for the perfect family experience, and budget is not a big factor, you can search those out by star rating and amenities. Here are a few budget friendly options, we loved. They are family friendly, clean, felt safe to us, and were a good bang for their buck. 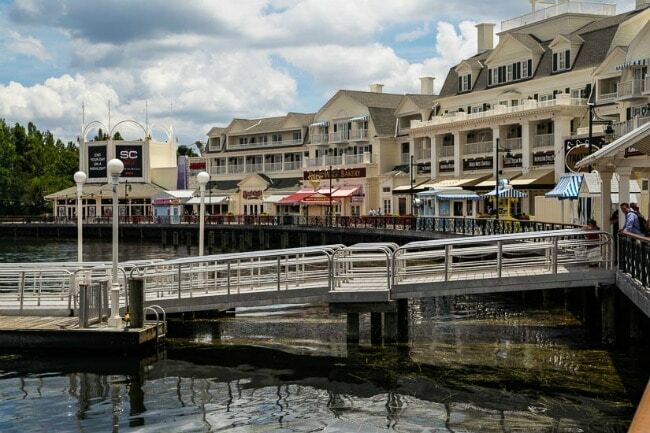 The Swan and Dolphin resort is an example of a nice resort, that is on Disney Property, full of amenities (including many of the perks you can get when staying at a Disney Resort), but will often offer better rates then the Disney Resorts. We recently stayed at the Tropical Palms Resort in Kissimmee, and had an amazing time. Our reservation was booked through Petite Retreats, and it was such a great location to fly into for our first night stay. We had already booked a week at a nearby resort, but decided to extend our vacation by an extra day (** money saving tip – it was cheaper for us to fly in a day earlier, even with the added hotel cost, on this particular vacation – so be sure to play around with those airfare dates). This resort is an RV park, so you can camp here too, but they also offer a variety of cottages and cabins that you can stay in. It is a great option, especially for larger families, as they were priced much more affordably during our visit. There are plenty of things to do on the grounds, just like a hotel, but more space for your family to spread out. Full size kitchen (stocked with the essentials) in our cottage! These cottages are a great size, and plenty of room for bigger families, or two small families could share one cottage (and split the cost). The park had various amenities (like a pool, and sand volley ball court, bocci ball, fishing, putt putt golf and more! ), and it was located just behind Old Town so there was lots to explore right there in the area. The cottages come with a large deck to relax on, and we thought that outdoor space was a big perk. We saw lots of geckos running around outside too (we love the outdoors, so that was a cool experience for us). The do have a staffed gated check-in, so that made things feel more secure for us too. 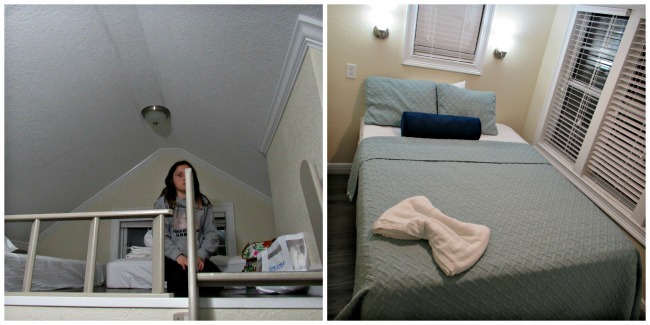 We had both a loft sleeping space, and two bedrooms in our cottage! The unit we stayed in had a loft, and two bedrooms and a sleeper sofa (sleeps 8), so it is a great option for larger families. 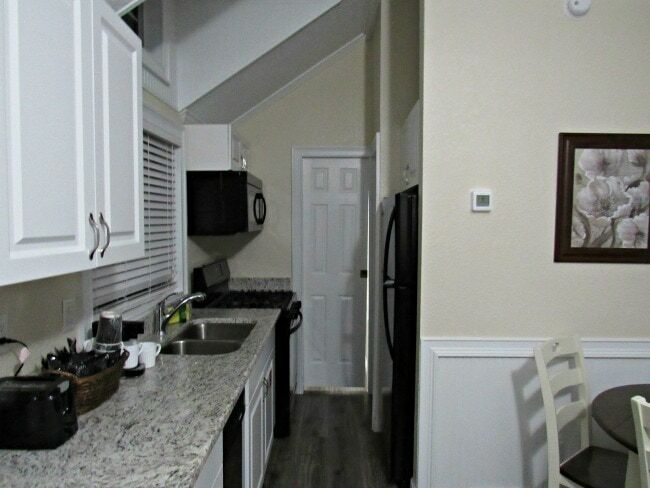 Plus, there is a full kitchen so you can save on food by doing a quick grocery shopping trip nearby. It was about a 12 to 15 minute drive to the Disney Parks too (and it was a very easy drive). Use Priceline or Hotwire for The Secret Deals! Will the room sleep enough people (look for the choose your bed options)? Is it still a great price after all of the fees have been factored in? Is it close enough to the parks for you (look for the areas mentioned above, as well as some of the Kissimmee spots). My rule of thumb is to only book 3 stars and above, and pay attention to amenities to make sure it offers the things you are looking for. There are two resorts available to Military Members only, that are on Disney property, but not run by Disney. You can find all the information you need to book, and who qualifies (as well as saving on park tickets and dining, etc too) on the Shades of Green website here. 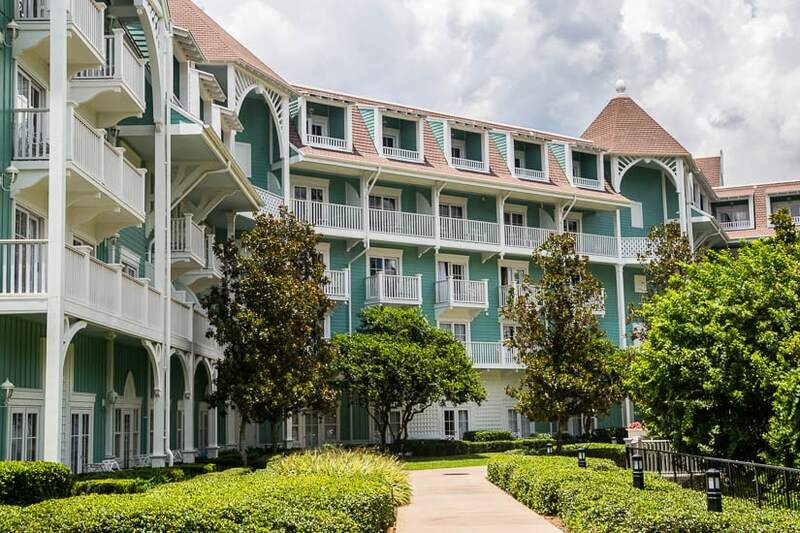 Disney also offers direct discounts for Military Members, and the Armed Forces Vacation Club (AFVC) offers week long condo rentals for just $349 a week too (details here!). Military Disney Tips is a site that will provide lots more details on Military discounts available for your Disney trip too. If none of these other tips panned out, you can book through a site like Orbitz. If you create an account with them, and then look for deals on hotels that will allow you to cancel your reservation without penalty, you can then hold that room – but keep searching for a better deal. We used this trick recently, and it worked out well for us. We researched a couple of spots we were interested in staying at, and then watched them as rates went up and down. We were able to save around $50 a night, when the price dropped one day (we booked the new price, and cancelled our previous reservation). We then ended up booking our flight through Orbitz, so qualified for an additional 10% off hotel stay with promo code, so rebooked with that and saved even more. Note that sights like Orbitz can charge booking fees, and resort fees, so make sure you are looking at the price after you select your room type (not the one that shows up in search) so you are factoring in all the fees for the true cost. If you are a member of a specific hotels loyalty rewards program, check their offers. We are Starwood members, and recently got an offer for one of their beautiful Orlando area hotels for $258 for a 4 day getaway. Or, you can use your vacation to earn points, that might get you a free stay after your vacation! 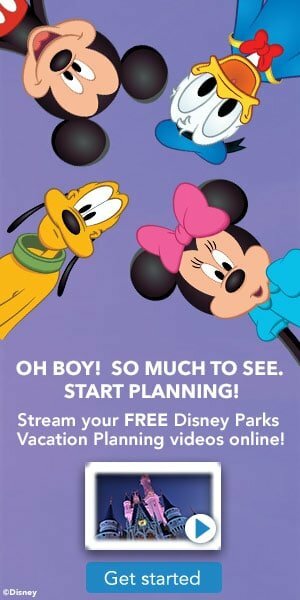 Free Vacation Planning Video from Disney!